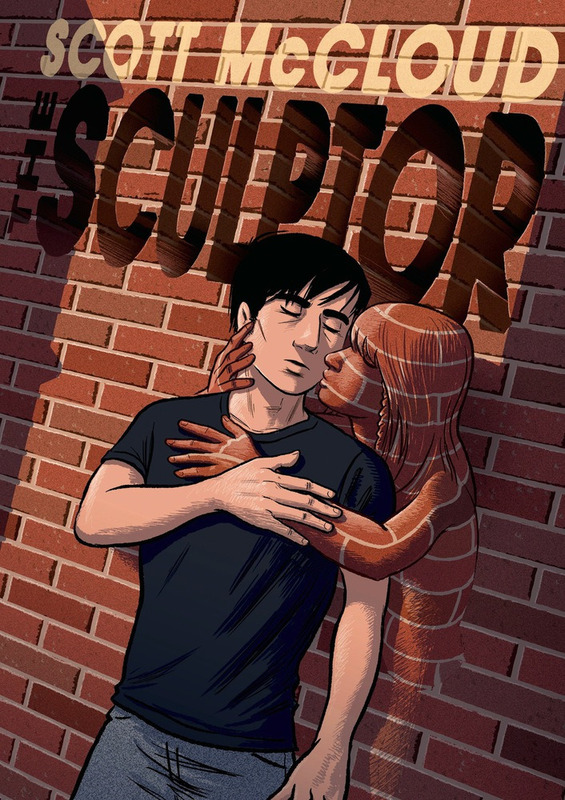 One of the more highly-trumpeted comics to be published in 2015 is Scott McCloud’s The Sculptor with interviews and reviews in national media like NPR and on popular media sites like Boing Boing. McCloud is best known for his nonfiction comics about understanding and making comics, but The Sculptor is a work that apparently has been five years in the making under the helm of First Second. In The Sculptor, a washed up sculptor named David Smith is looking for a second lease on life after being dumped by his sponsor, and finds one through a bargain with Death masquerading as his long-dead uncle Harry. In his desire to become famous and “to become somebody” he takes the deal – 200 days of life left and the ability to sculpt anything just by touching it. But when things don’t come out the way he has planned, he ends up seeking the help of another struggling artist, Meg, an actress who catches him by surprise in an improv performance. But as David and Meg begin a friendship that turns into a tenuous relationship, David must come to terms with both his newfound powers of sculpture, his rapidly dwindling time on earth, and the wreckage left in his wake. Despite clocking in at just under 500 pages, The Sculptor reads quickly, and seems to even move through David’s time quickly. Weeks jump by in panels, David builds and destroys relationships, builds and destroys sculptures, and comes to terms with his mortality and his purpose in the world. David is a pretty standard mopey white artiste, and his angel/muse is a “troubled beauty,” with all of the baggage you might expect from a character in that trope. McCloud’s characters feel real and whole – the emotion is there, and these people seem to connect with me as a reader. McCloud has plenty of pages to spend on fleshing them out and making them feel substantial. What I felt most strongly about The Sculptor though, is not its emotion or the strength of its characters, but rather a nagging sense that I had read the story before. 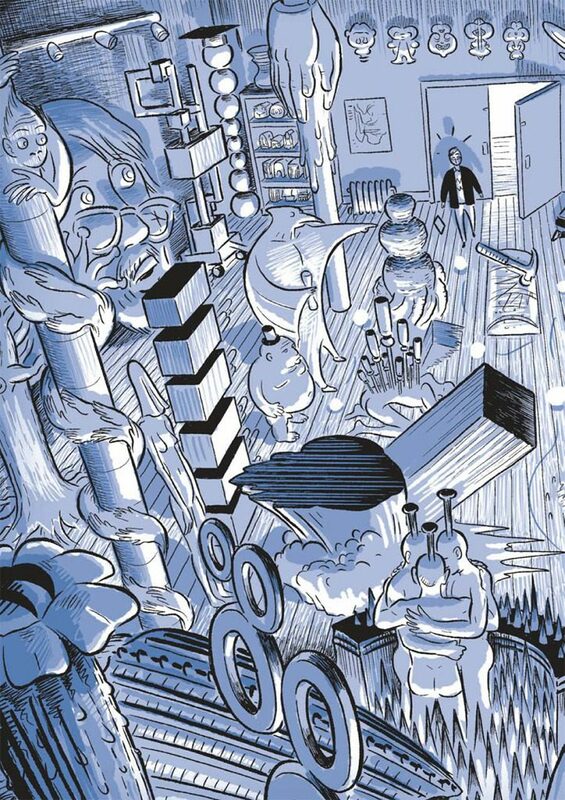 In many ways, The Sculptor is much like a 2003 predecessor, Craig Thompson’s Blankets. Another story about a troubled, mopey, young white man meeting the love of his life, the casual connection feels more and more substantial the more I think about the two works. Even their covers seem similar to me. And therein lies the rub – not that The Sculptor is a particularly bad work, but it isn’t fresh. At the time of its publishing, Blankets was heralded as an instant classic, a masterwork of sorts. But in the proceeding 12 years, a lot of things have changed. In that time, Blankets to me seems to have lost some of its luster – it hasn’t aged very well. And that’s the problem that The Sculptor faces. It feels like a book that was published in 2005, not 2015. 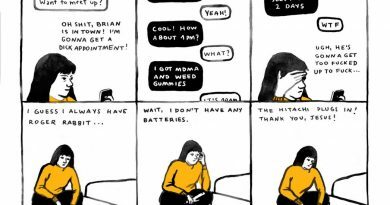 In many ways, the world of literary and alternative comics has moved past Blankets, and The Sculptor seems to be of that timeframe in the rearview mirror. 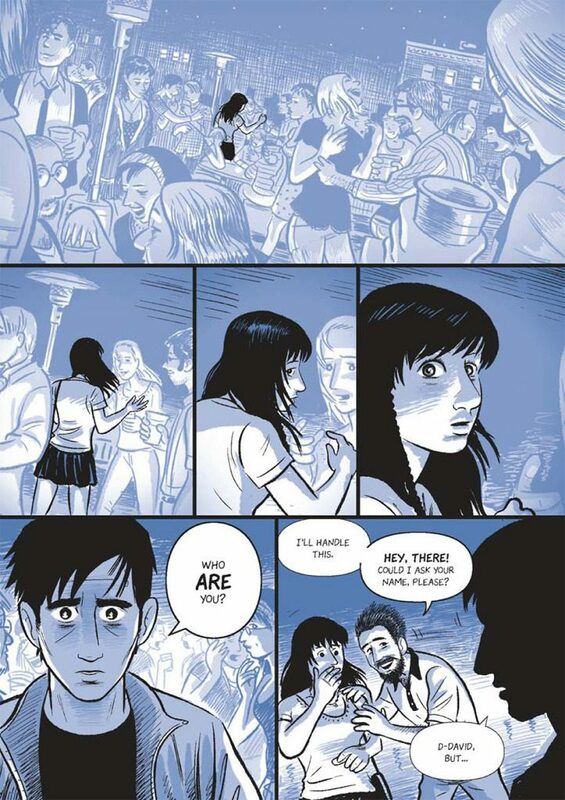 This isn’t to say that McCloud’s The Sculptor is not worth reading; there’s some smart dialogue, some interesting characters, and a genuinely emotive story – but it doesn’t feel like the work of our time. And I suspect that it, like Blankets, will not age well. It already feels a decade old.